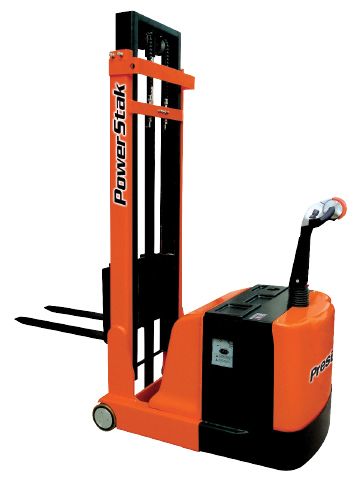 Four Power Stacker models are available to satisfy just about any requirement including servicing racks up to 10 feet high. Fully powered lift and wheels. 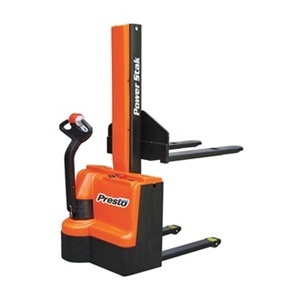 These are excellent lifts for confined areas with a 54" turning radius. 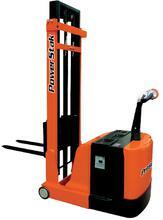 Units feature an offset handle and drive unit with a low profile mast. Handle features forward and reverse controls on either side. Also includes auto reversing belly bump switch. Polyurethane drive wheel is fully shrouded to protect operator. 24" load center. 1500 lb. 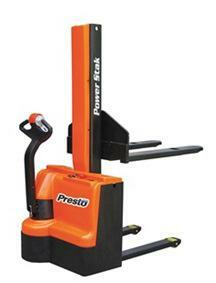 capacity stackers have 6"W welded steel forks; 3000 lb. 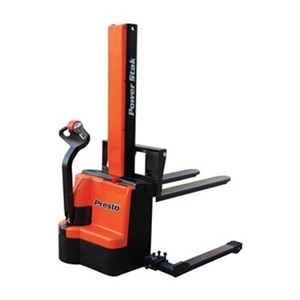 capacity stackers have 4"W forged steel forks and tandem load rollers. Two 12-volt batteries with built-in 115 volt charger. 1500 lb. 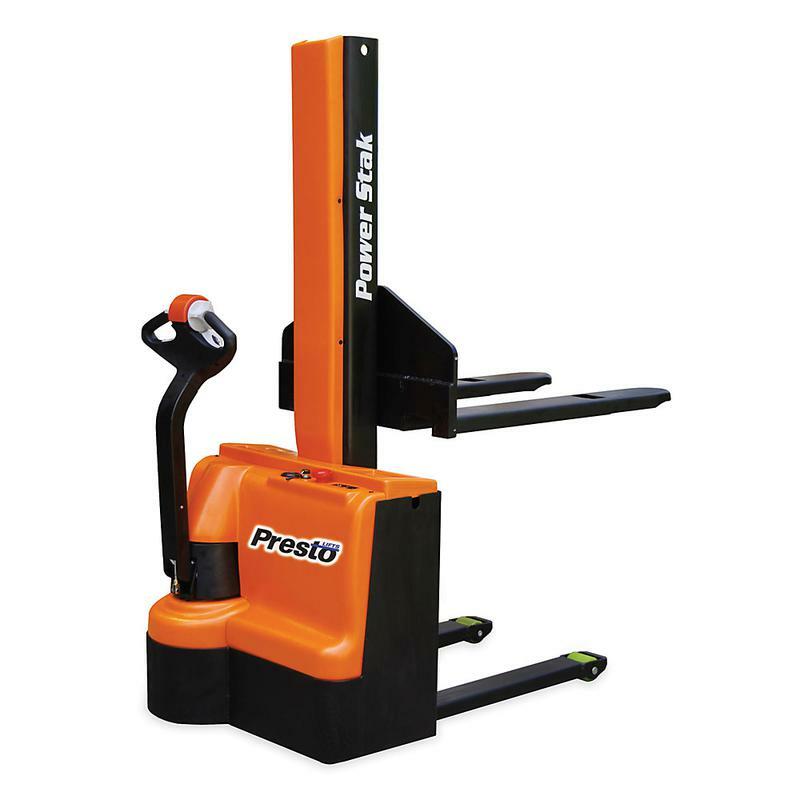 capacity stackers have maintenance-free batteries. 3000 lb. stackers have lead acid batteries. 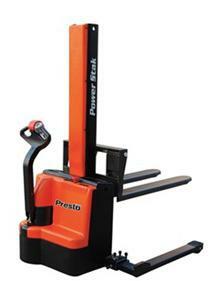 work positioner & pallet stacker. 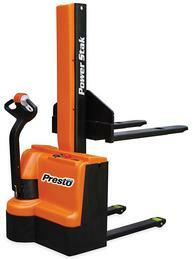 The best choice for loading storage rack up to 10' high. skids & bulk containers. 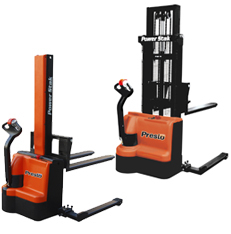 The combination of a narrow mast and offset drive create unmatched visibility in a work positioner & pallet stacker. A great choice for double stacking open bottom skids and bulk containers. 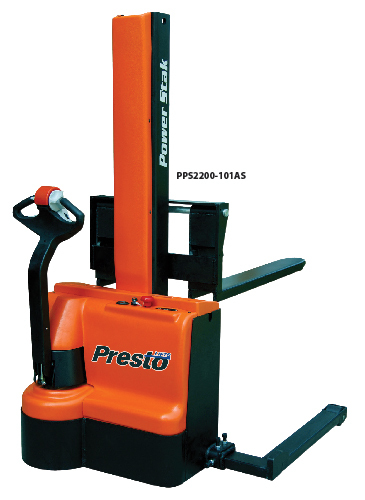 The combination of a narrow mast and offset drive create unmatched visibility in a work positioner and pallet stacker. 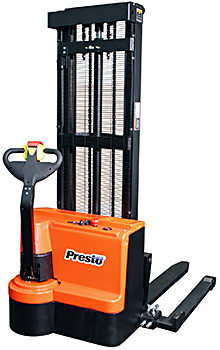 The offset drive creates exceptional visibility and maneuverability in a pallet stacker.